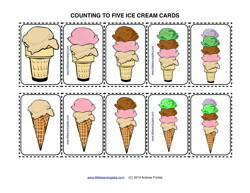 Practice counting to five with these cute ice cream cone sets. 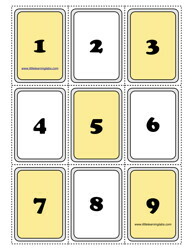 Two sets of five cards allow for matching, counting, and organizing in proper sequence! 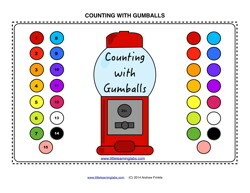 Practice counting from 0-15 with gumballs! 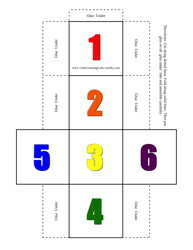 This very colorful exercise has several very good numbers activities like counting, producing numbers, arranging from least to greatest, and more! 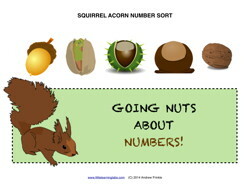 This is a great math center, but can be done with cooperative learning in whole group, too. 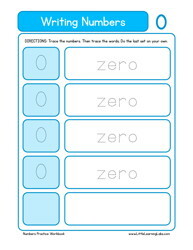 This is a great manipulative and gets kids moving around, which is great for having a fun classroom, preschool, or even lesson at home. 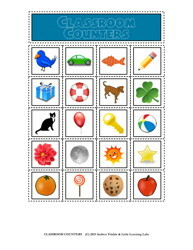 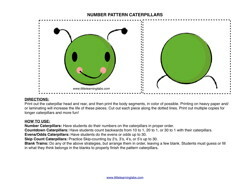 Practice counting from 1-10 as well as you fine motor skills. 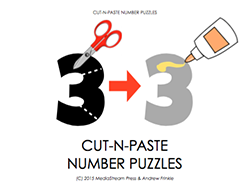 Cut and paste these pieces on top of the numbers. 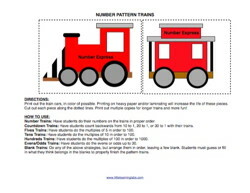 Each number has that many pieces to put together. 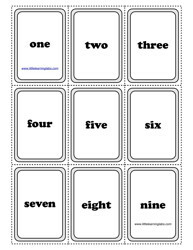 With these cards, you can practice counting from 1-99. 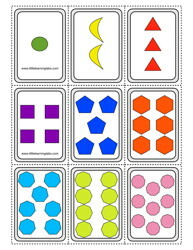 You can also practice differentiating between odd and even numbers, as the cards are color-coded. 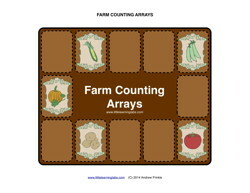 You can practice skip-and-clap counting, too. 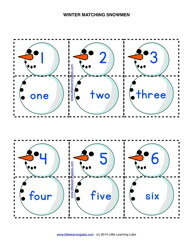 EX: clap-2-clap-4-clap-6... 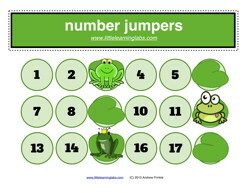 They're pretty versatile, even if you just want them for number identification or sorting into proper numerical order! 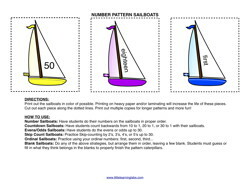 Learn your numbers with this oversized dice set. 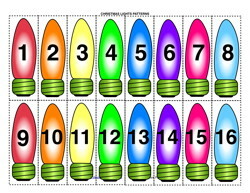 they're about 2 inches on a side when assembled. 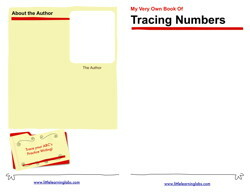 Make them and use them in any of the 3 versions included for color or B&W printers. 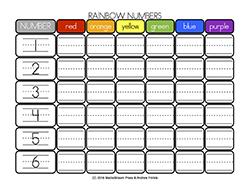 Practice writing your numbers in a rainbow of colors. 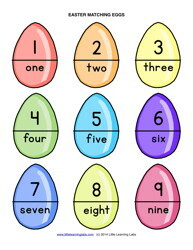 Write each one 7 times, once in red, orange, yellow, green, blue, and purple.